We've known Google has been interested in Near Field Communication (NFC) technology ever since the release of Android 2.3 (codenamed Gingerbread). NFC gives consumers an alternative to cash, debit cards, and credit cards by allowing them to pay for products and services by tapping their mobile device against a register at checkout. The project is still in its early stages, but it will one day allow owners of Citigroup-issued debit and MasterCard credit cards to pay for purchases by launching a mobile-payment application on their phone. Users could also manage credit card accounts and track spending through said app. Google, for its part, would be able to send targeted ads or discount offers to these users. If the program is deemed a success, it would likely expand to other card issuers and networks. The program would also offer retailers access to data about customers so they would be able to market future offers to their devices. This would, of course, raise privacy concerns since Google would have data as to whether ads targeted at certain groups of people led directly to in-store sales and would be able to gain insight into consumer-spending behavior. 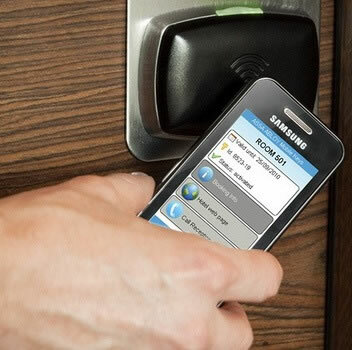 A rumor from earlier this month suggested that Google is planning to start testing an NFC system next quarter. The search giant is not the only company working on mobile payment methods, but given Android's growing dominance, Mountain View has an opportunity to set the bar high.